Old Rome, before it embraced the heresy of Ultramontanism and became the Vatican, agreed with us. We, of course, agree with Christ and His Apostles. you sure you're not Hindu? 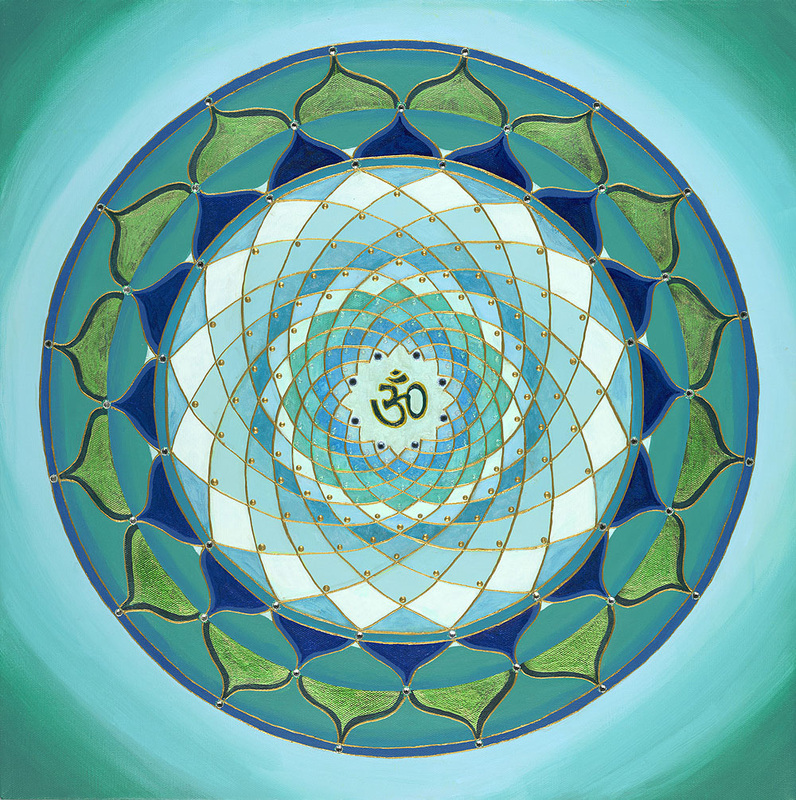 Or does the CCC have a section on mantras that I missed? But just as the aforesaid misguided persons sin against the unity of the mystical Body by denying the plenary power of the Roman Pontiff, so they sin against the purity of the sacrament of the Body of Christ, saying that the Body of Christ cannot be consecrated from unleavened bread. This, too, is disproved from texts of the Greek Doctors. Lib. 106, 1-13, from Theophylact Super Matth. XXVI: 17 (PG 123, 440 note a, and 441 A). Hence, the first day of the unleavened bread is called by the three Evangelists, Matthew 26: 17; Mark 14:12; and Luke 22:7, the fourteenth day of the month, because toward evening the unleavened bread was eaten and then the Passover, that is, the paschal lamb was sacrificed. And, according to John 13: 1, this was before the feast of the Passover, that is, before the fifteenth day of the month, because this was the most solemn day on which the Jews wished to eat the Passover, that is, the unleavened paschal bread as well as the paschal lamb. , there being no disagreement among the Evangelists, it is plain that Christ consecrated his body from unleavened bread at the supper. Lib. 105, 9-12; cf. Gregory Naz. Oratio I n. 3 (PG 35, 397 A). So ἄρτος is used in Lev 8 in the LXX, but so is ἄζυμος, clarifying any "ambiguity" of the former. Again, I accept the use of unleavened bread for the Eucharist, and regularly commune in Armenian churches where this is the custom. But I think if you want to make a strong case for unleavened bread as "what Jesus used", it's not going to work based on Scripture. In a previous post, someone compared the RC apologetics on this matter to the RC apologetics on clerical celibacy, and I think there's something to that. Despite the RC insistence that these are matters of discipline and not doctrine, much ink is spilled and effort expended in "proving" these things as if they are doctrine. Do you really think the Fathers of East and West, in reading these passages in their original languages, did not already think of the possibility that it really is as explicit as you say, and yet still end up concluding that it's not? The point is that is uses artos. In Exodus 25:30 it uses artos in reference to the same bread, without the mention of unleavened. Num. 6.15 clarifies ἄρτος with ἄζυμος, as I've noted above by bolding and underlining. Regarding Ex. 25.30, the passage is discussing the Bread of the Presence. Do we know for certain that this was unleavened bread? If so, then maybe this is a point in your favour. The Wikipedia and Jewish Encyclopedia articles argue that it was more likely unleavened, but not impossible that it was leavened: the preparation of the bread was a secret of the priests. Here is your ambiguity, but not in any of the other passages you cited. Regarding Exodus 25:30 ... Again, in ancient Koine Greek artos doesn't mean "leavened bread", it just means "bread". In the Old Testament the "showbread" of the Temple is referred to as "artos", despite being unleavened. As in so much, Aquinas here is mistaken. But then we would know that from the title of his work "Against the Errors [sic] of the Greeks [i.e. the Orthodox]." So yet again you prefer to walk according to the Pharisees, Saduccees and Scribes and not on the Way of the Apostles. Then what do you do with that "new lump?" And are you saying the Jews were celebrating their feast with old leaven? Nothing. It causes me no problems. What should I do with it, or what problem should it cause my argument? A new lump is just that, new. As long as you don't go leavening it, or can get out that bit of leaven sometimes thrown in (by wayward individuals who return to or retain of the former life) from the old lump before it get's a chance to work and permeate the new batch of dough, you can keep the lump new and unleavened. No problem at all. Jesus I know, and Paul I know, and Ignatius I know, but who are you? Wow! Don't be so harsh on yourself. I have not demonized you, why demonize yourself? LOL. Good to see that it was taken in the same spirit that it was given. Some protestants hold to a distinction between this meal and the Passover Seder proper, as obviously does the Orthodox. Some do not. I am one of those who does not. The text itself is clear, this was a passover meal. There is no need to mishandle or wrest it to fit with our presuppositions. The Bible clearly says it was a passover celebration that Jesus had with his disciples on the eve of his crucifixion -- as you so thoroughly cited. Also, the internal evidence confirms the order of the Seder; i.e. the after supper cup, the blessing of the bread and cup, the hymn after the meal... these, taken together, all indicate the ceremonial process of the Seder. Of which there would be no point if it was not a Seder. That our misleading. No, God is not the author of confusion, and we need not convolute the matter further. If it looks like a seder, taste like a seder, & feels like a seder it's probably because IT WAS a seder. However, it is understandably confusing when people then read about the sacrificial offerings the following day. And questions crop up about whether there was a lamb or not (as the text it not explicit either way). I understand their need to rationalize an explanation therefore. However, what some forget (or perhaps do not realize) is that the Jewish day starts at sundown (so the day of Passover had indeed already come) and that there was a dual observance of the passover among the Jews. The majority keeping the feast on the twilight following the day of Passover, a minority keeping the feast on the twilight inaugurating the day of Passover. Obviously Jesus used this ambiguity of which twilight to feast on to both keep the feast and to then fulfill it later that day. You claim that it was a Seder and therefore conclude that it was unleavened bread that Our Lord used. We'll return to the Seder tasting question below, but I am interested (since this is a thread on Protestant views): what is your argument to your fellow Protestants who hold to a distinction between this meal and a Passover Seder? As to the metaphorical nature of Paul's use of the phrase, again, the metaphor makes NO SENSE unless the basis is real, or in this case literal. Associations to Passover, keeping the feast, and eating unleavened bread must refer to the literal observance and use of such in order for any extrapolation Paul intends to hold. Else Paul is nonsensical here (as if ). Besides, a cursory familiarity with Jewish festival customs should indicate the virtual impossibility of Christ using leavened bread, even if this was the night before the day the Passover/Unleavened Bread festival began. In preparing for the Passover all leaven, and all things leavened, would have been removed from all places of residence and meal preparations (save for the small bit retained for the final ceremonial cleansing to kick off the festival proper). Besides, using the figure of bread, living bread does not denote leavened bread, for the bread broken and eaten is cooked. Leavened or unleavened, there is no more activity in the dough once it is cooked. My point? This is essentially bootstrapping to make leaven and living associate when it comes to Christ being our bread form heaven, much less the bread of Passover being His body. If that were true, then the rabbis wouldn't obsess about the time limit when the water hits the flour: all you would have to do is cook it and the leaven questioned would be solved. There is something different between unleaven and leavened bread even when cooked, hence the denotations. And leavened bread doesn't denote sinful bread: the NT NOWHERE makes the rabbinic equation leaven=sin/corruption. I Corinthians 5:8 would be the only one, but since St. Paul equates the leaven of malice and wickedness with OLD leaven and not just plain leaven (and hence new leaven would not be full of malice and wickedness, but something else, as indeed it, or rather He, is), it's not. (Ditto the leaven of the Pharisees and Sadducees, which in this case is ironically unleavened bread, as opposed to the leaven of the Kingdom). "I am the bread from heaven", not "I am the unleavened bread from heaven." (btw, artos is used in reference to manna, and the manna stopped on the first day of Unleavened Bread in the Promised Land). And the Jews murmured at this Living Bread from Heaven as they did at the mannah (John 6:41, Exodus 16 ; in Numbers 21:5 their murmurings brought on the need for the Serpent of John 3:14. Btw, I finally learned recently why the use of the serpent, to prefigure Him Who knew no sin becoming sin for us). No "I am the mazzah from Heaven"
No, artos is used only by way of analogy for unleavened bread. The term azyma is quite common in the OT LXX, as is the Feast of Unleavened [Bread] heorte ton azymon,(Bread is in brackets because it is not in the Greek), which became such a techinical term (like episkopos) that it was adopted straight into Latin (like episcopus) and passed (like >bishop) into English:Azymes (used in the Douay-Rheims). Because of the technicalities involved in Passover Mazzot, it is quite rare if not unknown to use the default word for "bread" in such a context. It is as technical as mazzas/mazzot are in English. It would be as odd to refer to them as artos as to talk about bread during Passover: artos/bread is precisely what you are not supposed to be eating. BTW, are you familiar with the common custom in that day of using a pinch of leavened dough from a previous batch as the leavening agent in a fresh batch of dough? If not I suggest you look into it a bit, as that is a far more likely an natural understanding Paul on the "new lump" concept. again that 'pinch" is exactly what is banned under the old law, that "small bit retained for the final ceremonial cleansing to kick off the festival proper" which became, under the New Covenant, the Paschal sacrifice. As St. Paul just said (and will say again (Gal. 5:9), where he IS talking about the Old and New Covenants) "leaven leavens the whole lump." Their should be no lump: any lump should have been gotten rid of. A lump is more than "just that, new." According to the OT law, it is leaven and hence forbidden for the week of Nisan 15. It cannot not stay "new": it must be immediately baked, in which case it never achieves "lump" status-the rules on mazzot making are crafted to precisely deny that forbidden status to the flour. Mazzot do not involve a "lump": the flour and water must be mixed and rolled flat and IMMEDIATELY baked. Otherwise, they are not kosher for Passover. If you do "Nothing" about the lump and it "causes [you] no problem at all" the same cannot be said of the rabbis, Jews and Hebrews. Ask them: "What should [you] do with it?" They would tell you GET RID OF IT! "What problem should it cause [your] argument?" You cannot keep the lump "new and unleavened" with "no problem at all": according to the rabbis now, they give only 18 minutes from the moment the water touches the flour to mix, roll and bake, less if anything else is used (hence why mazzah crumbs have to be used for breading meat, mazzah balls etc. Simple flour won't do: it's considered leavened). A moment more, and the Jew cannot touch it without being cut off from Israel. No "lumping" allowed. Somehow it still just doesn't work for me. My mind just can't compute that unleavened actually means newly or freshly leavened. because you are distracted by St. Paul's use of irony (dealt with below), consider, if St. Paul was actually saying what you claim, why does he call on the Corinthians to be a new lump, which by definition has leaven, old or new. As the lump is by definition leavened, how does "so that you may be a new lump as you are unleavened" work for you? The lump comes from mixing the leaven (that "pinch") into the three measures of flour and letting set until "the whole" is leavened. (Mat. 13:33; Luke 13:20-1). As that string of parables instruct us, we are supposed to go leavening it. It is for this reason that he exhorts the Corinthians to be unleavened from the old leaven, so that they may be leavened by the new, the reverse of the man who had a demon purged from him, but, because he did not leaven himself with anything, the spirit returned with seven worse than himself to the house swept clean and the man was worse than at first (Mat. 12:45, Luke 11:26). We neither purge the old leaven in the manner of Marcion, nor keep it as did the Ebionites. As putting new wine into new winskins, new leaven for the new lump. As St. John points out "in the case of material leaven, the unleavened might become leavened, but never the reverse," and St. Paul's colleague St. Ignatius explained "Lay aside, therefore, the evil, the old, the sour leaven, and be changed into the new leaven, which is Jesus Christ." St. Paul doesn't say we "can can get out that bit of leaven sometimes thrown in (by wayward individuals who return to or retain of the former life) from the old lump before it get's a chance to work and permeate the new batch of dough." He specifically talks about old leaven, not "that bit of leaven," and does not say a thing about an "old" lump, only about the new lump, which the Church has always identified with Christ, as He identified it with His Kingdom, which we are supposed to give a chance to work and permeate us. Anyhow, like I said, unless you can prove Paul is uninspired, or that the translation is emphatically wrong and should actually read "leavened bread" then I'm going to stick with Paul. The translation NIV "Get rid of the old yeast that you may be a new batch without yeast--as you really are. For Christ, our Passover lamb, has been sacrificed" NLV "Get rid of the old "yeast" by removing this wicked person from among you. Then you will be like a fresh batch of dough made without yeast, which is what you really are. Christ, our Passover Lamb, has been sacrificed for us." ISV "Get rid of the old yeast so that you may be a new batch of dough, since you are to be free from yeast. For the Messiah, our Passover, has been sacrificed." ARE emphatically wrong. The "in fact" of the NASB "Clean out the old leaven so that you may be a new lump, just as you are in fact unleavened. For Christ our Passover also has been sacrificed" is inserted, and not in the text. I don't have to prove St. Paul is uninspired. You need only disprove that St. Paul is making new lumps out of mazzot. should indicate the virtual impossibility of Christ using leavened bread, even if this was the night before the day the Passover/Unleavened Bread festival began. In preparing for the Passover all leaven, and all things leavened, would have been removed from all places of residence and meal preparations (save for the small bit retained for the final ceremonial cleansing to kick off the festival proper). That first Eucharist was that last small bit, the Saved Remnaint. 3) St. Paul agrees with St. John (and the rest of the Orthodox) that Christ was sacrificed before the Seder, as Christ, as our Passover was sacrificed for us, but to be our Passover, He would have had to have been sacrificed as the Law an type called for:Nisan 14, NOT the 15th, the first day of unleavened bread. The only "need to mishandle or wrest it to fit with our presuppositions" comes with fitting the Gospel account with the typology Moses laid down with the commandments of the celebration of the sacrifice of the Passover (the day beforeNisan 15) and the Unleavened Bread (Nisan 15) and First Fruits and the count down to Pentacost and the reception of the Covenant (Nisan 16). As they are celebrated now: it never ceases to amaze me how Protestants, who won't accept the Tradition of the Church, take the traditions that the present days Jews preserve from the pharisees as the Gospel truth, whether it be their preference of the late Masoretic text (fixed Nearly a millenium after the Church's Septuagint), or the preference of the Talmud's interpretation over the Fathers of the Church. Well, can either of you prove that the things to which I referred have no ancient validation nor Messianic application? Such is that the Paschal New Moon (i.e. the 14th of Nisan) still determines Pascha. This problem that people make for the Synoptics (Mark 14:12; Luke 22:7, cf. Mat. 26:2, 17) does not explain why the Synoptics identify the first day of Unleavened Bread as the day on which they "killed the Passover." The Passover was sacrifed, as the OT shows, on the 14th Nisan "between the two sunsets," the Feast of Unleavenend Bread occured on the 15th. The priests, St. Matthew (26:2, 3-5) and St. Mark specifically tells us (14:1-2), did not arrest, try and kill Christ during the Feast of Unleavened Bread, but before. St. Luke tells us (22:1) the Feast of Unleavened Bread was called the Passover; Mark 14:1 tells us the Passover and the [Feast] of Unleavened Bread was coming, conflated in English but distinguished in Greek. If the Passover sacrifice was muddled, upon which your interpretation depends, with the Feast of the Unleavened Bread, eating the seder (and hence the passover sacrifice) on the second day of the week of the Unleavened and sacrificing the lamb a day late according to Moses, then the the Gospel is breaking the Pentateuch (not to mention St. John) besides "the text itself [being] clear, this was" NOT "a passover meal...The Bible clearly says it was" NOT "a passover celebration that Jesus had with his disciples on the eve of his crucifixion." At least one not according to Moses, who stated in words which cannot be broken and do not pass away, that the Passover was sacrificed on the 14 and the feast of Unleavened on the 15 of Nisan. "No, God is not the author of confusion, and we need not convolute the matter further." No Christian ever attached any importance to the 15th of Nisan, so the Synoptics must be read in the light of St. John the Theologian. ALL messianic prophecies hinge on Christ being sacrifice on the 14th of Nisan. Cf. the typology of Joshua (Greek Jesus) entering the Promised Land after passing through the waters of Jordan (where Christ was baptized) (Jos. 4:18-19): this was the 10th of Nisan, when the Passover lambs were chosen, and then sacrificed (5:10) on the 14th, and on the 15th they ate the old wheat of the land unleavened, and rested (before going to take possession of the Land) as it was a double Sabbath-both for the Week and the Passover Festival-just as the Lord rested on the last day of the Old Creation and kept the Sabbath in the tomb, and the next day on the 16th they ate of the first fruits of the promised land (Lev. 23:10), a type of the Resurrection-the Eighth Day of Creation and the First Day of the New Creation-and the manna ceased to fall (5:12). They were home. And they started counting the Omer, which was the countdown to Pentacost, when the Law came down, both Old and New. The passage is talking about sexual immorality. No Messianic application, except heresy. As to ancient validation, the universal usage of the Church has been leavened bread. A quick FYI ... I was referring to calling in question the specific references I made to Jewish festival customs. Can you prove them to have no ancient validation or Messianic application? I actually see the institution of the eucharist happening with the supper. The reference to "after supper" refers again to ceremonial stages of the seder, and helps to indicates which seder cup (the after supper cup, or the 4th in the seder) Christ chose to represent His blood. So, I definitely see it (though designated "after supper") as a continuance of the seder. However, as an aside, I do not believe the full seder meal or celebration is obligatory for believers (though quite illuminating when seen) -- only those elements thereof which Christ ordains as uniquely referring to Him and His sacrificial offering of Himself as our passover. There was nothing unique (except for what Christ made it) in the Supper: reciting blessings over bread and breaking it for distribution, and then a blessing over the cup were the common ceremonial of Hebrew meals. Hence no "internal evidence confirms the order of the Seder; i.e. the after supper cup, the blessing of the bread and cup, the hymn after the meal... " nor do "these, taken together, all indicate the ceremonial process of the Seder." To claim "Of which there would be no point if it was not a Seder" is "[y]our misleading": such was format of any Hebrew meal, who saw the sanctification of daily life as an integral part of the Faith (as it still is). Hence there is no problem of validation of ancient Jewish customs, except the problem for seeing the Afikoman as the Eucharist is that the Afikoman was the Passover lamb in Christ's day. Hence the absence of lamb on the Synoptics menu is not a little detail, what it meant to "eat the Passover" if we are going to insist on reading things with a veil on (II Cor. 3:15). And if the lamb was present, then the Eucharist is not the passover lamb, and could not be eaten (if the rabbis are to be believed) as the lamb was the last to be eaten, right before midnight. Then there's that problem that the New Testament never interprets the Eucharist in the light of Passover. Not without "breaking" Scripture (which is an impossibility, proving the absurdity of any position staked on such a handling of the word). I understand what you are saying, however, since Scripture "cannot be broken" (John 10:35) any view thereof that causes the gospels (or any other book of Scripture) to disagree, rather than to harmonize, must be a false view or understanding. Besides, Paul is quite clear on the nature of the bread we are to use at the Lords table, and why (1 Corinthians 5:8). I'm with you regarding making Scripture disagree but the text you use to 'prove' unleavened bread seems to me to be very symbolic language. How are we sure that we need to they the 'unleavened bread' literally here. I'm just asking because I kinda agree that we should be observing an fulfilled Seder but I'm not sure this particular text is the key to the problem. I understand your hesitancy, but it just makes sense if you meditate on the passage a bit. Paul is not trying to be confusing or misleading. Furthermore, he frames his obvious metaphorical application (concerning Christian living on the whole) with the observance of the passover fulfilled, what you good folk call the eucharist. So, what he says about the Lord's table here must be literally true for the application to make sense, else there is no basis for the comparison or extension he is making. I mean,really, if we eat leavened bread then Paul's words here are difficult to understand at best, and are totally incoherent and non-applicable at worst. The clear meaning and intention is that the unleavened bread we eat speaks to the purity of life Christ lived in the flesh, and our partaking in that same purity of heart and life, both positionally and experientially. You are somewhat on St. Paul's point here: he is using the rabbinic equation (still used by the Jews) leaven=corruption, evil, pride. He refers to this metaphor which, as Hebrews, would have been familiar to the Church at Corinth. However, the interjection of the new lump, distinction old/new leaven and Christ our Passover was sacrificed prevents (or should prevent you) from taking that too far: St. Paul in the same epistle refers to idol worship (10:20-22) without admitting it has any basis in reality (10:19, 8:1, 4); nor can his reference to baptism for the dead (15:29) be used (sorry Joseph Smith) as justification for the practice. We haven't had any difficulty in nearly 2,000 years we have been around in understanding St. Paul's words here: neither St. John nor St. Ignatius (who knew St. Paul personally) found his words incoherent or non-applicable, but then they partook of the new leaven, Christ our Passover sacrificed for us, as we do today. If Christ our passover is identified in Scripture with unleavened bread, and the bread is his body, what then does it say about Christ to use leavened bread in praxis? Such is a contradiction. He is the Paschal lamb, not the passover bread. Indeed, the unleavened passover bread holds special symbolism that further drives home this apostolic comparison and injunction. The bread is striped, as Christ was for our healing. The bread is pierced, as Christ was when he shed forth the fount of eternal life. The bread is broken as our Lord explained when he gave it to His disciples at the last supper. Beautiful! I not sure what distinction you are making. Our leaven bread is pierced and broken (see the Proskomedia service mentioned earlier). As for the stripes, it looks pox marked to me (I've replaced the photo of the machine made Mazza in your OP with one of a hand made mazzah: they didn't have machines in 1st century Palestine). have to make the Synoptics liars, as your interpretation of them precludes Christ being our Passover sacrificed for us. have to make St. John a liar, as he makes it quite clear the Seder had not yet been celebrated nor the Passover yet slain. As you say, scripture cannot be broken. And the scripture does NOT here, nor anywhere, refer to Christ as unleavened bread. 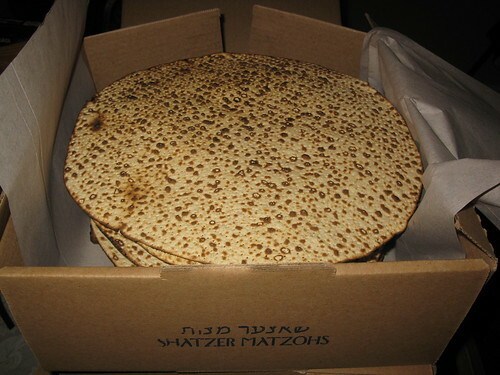 You have, just as the Jews have now, replaced the Passover with the Afikoman matza, and put that in St. Paul's mouth. It doesn't look like a seder because no lamb is to be seen, doesn't taste like a seder because no lamb (except the Lamb of God) is eaten, & doesn't feel like a seder because the Eucharist comes at the end instead of the passover lamb sacrificed (the Pachal Lamb of God fulfilling it instead the coming day) which is the last think the rabbis say should be eaten, it's probably because it was NOT a seder. And if it wasn't a seder, so goes the need to have the Eucharist unleavened. He may be living bread, but He is also unleavened bread, per the Apostle Paul. That's about as apostolic as one can get, btw. If we are to hold that, then we must hold that he believed Hagar was his Hebrew ancestress, the Ishmaelites were at Sinai, Sinai is in Jerusalem, and St. Paul baptized the dead and believed idols were real. We also must hold that St. Paul when he calls the Jews uncircumcized means that their foreskins grew back, and for the Gentiles called circumcized their foreskins dissolved in the baptismal font. Talk about nonsense. Or we can hold, as St. Ignatius, St. John and all the rest of the Orthdoox for the past two millenia that St. Paul is refering to a metaphor familiar to his audience and himself from their former life with the old leaven, to make a point on life partaking of the new leaven. I know that some Protestants hold that St. Paul wrote Corinthians in the context of Passover and hence the reference. However, he throws out the off hand remark in a long passage about sexual immorality (one of the Corinthians' special vices), in which the leaven is specifically identified as teaching, and exchanging good leaven for bad. It has nothing to do with proper rubrics for the Eucharist, which doesn't come until several chapters later. Nevertheless, Paul still refers to the bread of our feasting as unleavened. The metaphor will NOT work if that bread is indeed leavened. Skirt it all you like, decry the fact that Paul uses it with an abstract application, it will not change the necessity of the bread referred to by metaphor being unleavened, else Paul makes no valid point, is nonsensical, and obviously is not writing under inspiration of the Spirit of God. Leavened bread just will not do, cause no matter how you twist it, Paul has associated our feasting, our Christ, and unleavened bread in eternal union. After all, God's word is settled forever in heaven, and what Paul wrote is merely an accurate reflection thereof, penned under special guidance of the Deity itself. Argue all you like, unless you can prove Paul was uninspired OR that the translation is emphatically wrong and should read "let us keep the feast with the leavened bread of sincerity and truth" then I'm gonna stick with Apostle Paul. Despite Chrysostom & as noted previously, Paul still refers to the bread of our feasting as unleavened. That metaphor just will NOT work if the bread is indeed leavened. ... Argue all you like, unless you can prove Paul was uninspired OR that the translation is emphatically wrong and should read "let us keep the feast with the leavened bread of sincerity and truth" then I'm gonna stick with Apostle Paul. That's an awful lot of effort and trouble to go through to try and make "keep the feast with the unleavened bread" actually mean "keep the feast with the newly leavened bread". Somehow it still just doesn't work for me. My mind just can't compute that unleavened actually means newly or freshly leavened. but we think it worth it for the successors of the Apostles to uphold their teachings, so that the Orthodox Church remains the One, Holy, Catholic and Apostolic One. You mean St. Paul according to infallible Pope Cleopas I.
Ha ha! I anticipated the likelihood of such a response, though in truth, no. Not according to Cleopas, but according to Paul, by his own hand (or dictation as it were), under inspiration of God, and preserved in Holy writ. Alas, it seems we have reached the dreaded impasse. Nevertheless, here I stand, so help me God. No impasse at all: simply show us those before you who believed as you do, and on what basis they stand. Because neither St. Paul (who brings leavening the lump with new leaven into discussion), the Synoptics (who according to your interpretation disqualify Christ as the Passover), St. John (who disqualifies the Eucharist as a Seder) or Moses (who set up the typology you reject) is backing you up. As a visible symbol of Catholic unity, it had been the custom to maintain Greek churches and monasteries in Rome and some of Latin Rite in Constantinople. In 1053, Michael Caerularius ordered all the Latin churches in the Byzantine capital to be closed, and the Latin monks to be expelled. As a dogmatic justification of this violent rupture with the past, he advanced the novel tenet that the unleavened oblation of the "Franks" was not a valid Mass; and one of his chaplains, Constantine by name, with a fanaticism worthy of a Calvinist, trod the consecrated Host under his feet. The proclamation of war with the pope and the West was drawn up by his chief lieutenant, Leo of Aehrida, Metropolitan of the Bulgarians. It was in the form of a letter addressed to John, Bishop of Trani, in Apulia, at the time subject to the Byzantine emperor, and by decree of Leo the Isaurian attached to the Eastern Patriarchate. John was commanded to have the letter translated into Latin and communicated to the pope and the Western bishops. This was done by the learned Benedictine, Cardinal Humbert, who happened to be present in Trani when the letter arrived. Baronius has preserved the Latin version; Cardinal Hergenrother was so fortunate as to discover the original Greek text (Cornelius Will, Acta et Scripta, 51 sqq.). It is a curious sample of Greek logic. "The love of God and a feeling of friendliness impelled the writers to admonish the Bishops, clergy, monks and laymen of the Franks, and the Most Reverend Pope himself, concerning their azyms and Sabbaths, which were unbecoming, as being Jewish observances and instituted by Moses. But our Pasch is Christ. The Lord, indeed, obeyed the law by first celebrating the legal pasch; but, as we learn from the Gospel, he subsequently instituted the new pasch.... He took bread, etc., that is, a thing full of life and spirit and heat. You call bread panis; we call it artos. This from airoel (airo) to raise, signifies a something elevated, lifted up, being raised and warmed by the ferment and salt; the azym, on the other hand, is as lifeless as a stone or baked clay, fit only to symbolize affliction and suffering. But our Pasch is replete with joy; it elevates us from the earth to heaven even as the leaven raises and warms the bread", etc. This etymological manipulation of artos from airo was about as valuable in deciding a theological controversy as Melanchthon's discovery that the Greek for "penance" is metanoia. The Latin divines found an abundance of passages in Scripture where unleavened bread is designated as artos. Cardinal Humbert remembered immediately the places where the unleavened loaves of proposition are called artoi. If the writers of the letter had been familiar with the Septuagint, they would have recalled the artous azymous of Ex., xxix, 2. The word means loaves. In Ex. xxix, 2 2 καὶ ἄρτους ἀζύμους πεφυραμένους ἐν ἐλαίῳ καὶ λάγανα ἄζυμα κεχρισμένα ἐν ἐλαίῳ σεμίδαλιν ἐκ πυρῶν ποιήσεις αὐτά, it means loaves of unleavened bread, just as John 6:9 ιν παιδάριον ὧδε ὃς ἔχει πέντε ἄρτους κριθίνους καὶ δύο ὀψάρια· ἀλλὰ ταῦτα τί ἐστιν εἰς τοσούτους; tells fives loaves of barley bread. ἄρτος by itself NEVER means unleavend mazza. That's ἄζυμα. The feast itself is mentioned in Mk. 14:1, 12 (cf. Mt. 26:17; Lk. 22:1,7) and twice in Acts (12:3; 20:6). The azyma are the seven days following the evening of the Passover, though the Passover itself is sometimes called the first day of an eight-day feast (Mk. 14:12). It is not clear why the accounts of the last supper do not mention the eating of unleavened bread which was part of the Passover ritual (cf. Ex. 12:18). Is artos used instead? You've claimed that ἄρτος is a generic word for bread, and not specifically "leavened" bread. Yet, in all instances you brought up except Ex. 25.30, it was modified with ἄζυμος so that we were clear on the fact that "unleavened" bread was being spoken of. What is the word for "leavened" bread, if not ἄρτος? Surely there is such a word for when we want to be certain that we are speaking of "leavened" bread? But your next post provided no evidence other than what I already conceded in previous posts: no one can guarantee that the Bread of the Presence was definitely unleavened, they can only propose that it was most likely unleavened. In fact, both Wiki and the Jewish Encyclopedia claim that the actual preparation of the bread was a "trade secret" of the priesthood, so they can only make educated guesses and not assert certainties. I'm sorry, this intellectual dishonesty. My next post conclusively proved it was unleavened. The jewish historian Flavius Josephus actually lived during the second temple period and in his accounts of the time, with regards to the show bread , he explicitly says it was unleavened. Secondly the Talmudic Jewish source and the Jewish encyclopedia too explicitly say it was unleavened. Thirdly it is guaranteed that the showbread was unleavened because the bread in the inner sanctuary was banned, by God in the bible, to be leavened in any form , as the Jewish encyclopedia and various other Jewish sources make note of this. Further the bread was meant last for a week and be eaten on the following Sabbath. It would be wiser to use unleavened bread which took longer to rot and stayed fresh longer than leavened bread. Not a problem for normal bread to last for a week. That styrofoam they sell now as bread is another issue. Since this thread has become a discussion of what bread was used at the Last Supper, I'll bump the other thread. Why so aggressive? Calm down and read my posts again. It's not dishonest to suggest that there's more to an issue than what Wandile has to say about it. OK. Not that Josephus is infallible, but based on what you quoted, OK. I have bolded and underlined places where it seems clear to me that what is offered is a high likelihood, but not an explicit certainty (as you would have me believe), that the showbread was unleavened. All I'm saying is that "probably unleavened" is not the same as "definitely unleavened, and you're an idiot if you think otherwise". According to I Chron. ix. 32, the sons of the Kohathites had charge of the baking and setting in order of the "bread of the row," as the Hebrew describes it. It would thus seem that the preparing of these cakes involved certain information which was kept as a secret by this priestly set. If the preparation of the loaves was a closely guarded priestly secret, this seems to underscore that the "high probability" of the bread being unleavened is just that: a probability and not an infallible certainty. Unless Josephus was a priest, I'm not sure how certain he could be...and if his certainty was undeniable, why the debate within the sources? The prohibition was of leaven, not of leavened bread. That said, those sources argue that leavened bread was probably not used out of respect for that prohibition, even though the showbread was not actually offered within the sanctuary, but only carried in and exposed. Read your own citations closely. It might be wiser, but these things don't necessarily operate on the principle of what is practical. If you think I'm some anti-RC Orthodox who wants to trash the tradition of using unleavened bread for the Eucharist, you are sorely mistaken. Were I to do that, I'd have to condemn my own Orthodox brethren. But there is a tradition in the Fathers of interpreting the ἄρτος/ἄζυμος distinction as leavened/unleavened, and I can't imagine that these words have as much of a semantic range as, for example, Christological or Trinitarian terms. I don't see a reason to reject their distinction by appealing to "ἄρτος is generic bread" argumentation as if that settles the matter definitively. Why do we offer leavened bread, and not unleavened bread (pathiro), like the ignorant and foolish Armenians do*? We call it bread (lahmo), [because] it is made from leaven, [that is] life. [But] pathiro is from dead things, that is from the flour and water alone. Whenever the Scriptures speak of bread (lahmo), it means leavened (hmiro) bread, not unleavened bread (pathiro). Instead of bread (lahmo), Moses used (pathiro) in his offerings, because he administered it prefiguratively. Christ did not say "I am the (pathiro) which descended from heaven", but rather "lahmo of life". Paul called the body lahmo, not pathiro (cf. I Cor. 10.16-17, 11:23). "The Kingdom of heaven is like leaven (hmiro) which a woman took and hid in three seahs (Mt. 13.33, Lk. 13.21). [This] hmiro is the Word [of God] who kneaded himself in the three families of Noah and enleavened them with true faith. Moses also offered leavened bread (lahmo hmiro) at the feast of Pentecost: "Two cakes of barley shall be baked with leaven" (cf. Lev. 23.17). *Though St Dionysius was in full communion with the "ignorant and foolish Armenians", he is known to be harshly polemical towards them when their customs differ from the rest of the Orthodox (or really any time he got a chance). Historians feel this has less to do with matters of faith than with his capture and imprisonment in 1156 at the hands of the Armenians, who pillaged a town under his episcopal jurisdiction.